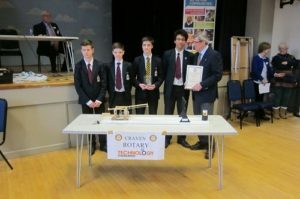 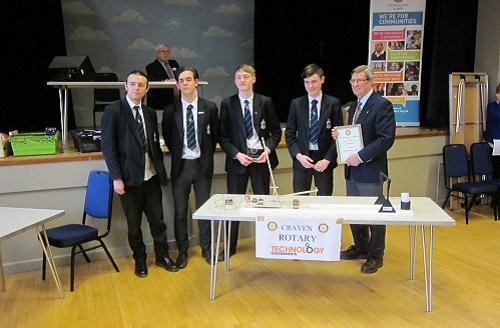 Design and Technology students faced a tough challenge at the Rotary Technology Tournament held in Gargrave on Tuesday, 6 March. 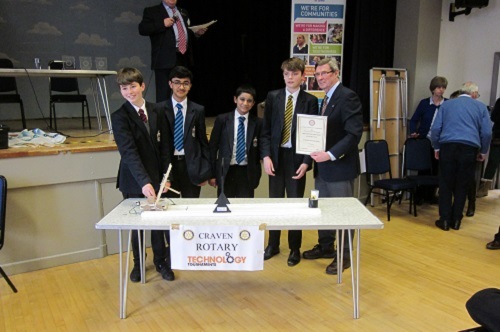 The students from six schools had to design and manufacture a movable crane to lift and transport a nuclear flask whilst working to a height restriction. 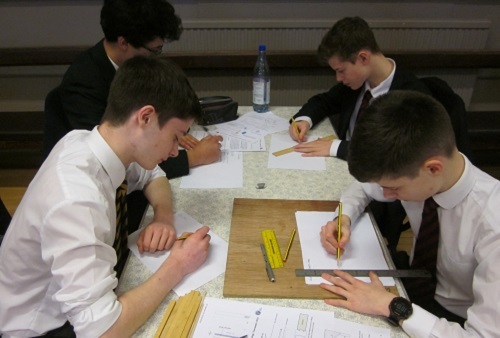 Varying levels of difficulty were introduced to each Key Stage, who also had to produce a design portfolio. Ermysted’s Key Stage 3, 4 and 5 all won best portfolio designs. 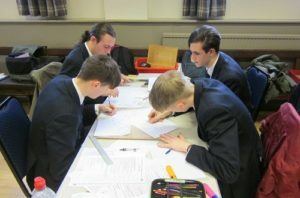 On the final testing at Key Stage 3, only one team executed the task correctly, Prince Henry’s, who went on to win this group. 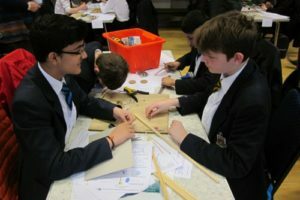 All schools at Key Stage 4 experienced difficulty completing the task successfully, so it came down to points awarded throughout the day for teamwork, best use of materials provided and understanding design constraints and principles. Ermysted’s received the most points to win this group. Key Stage 5 was more clear-cut as Ermysted’s successfully completed the task and went on to win this group. All those who attended thoroughly enjoyed the challenge and the teams were thrilled to win five out of a possible six categories.